Pre- Planning | Polchinski Memorials, Inc.
Today more than ever, people understand the wisdom of planning ahead by taking out insurance policies, setting aside savings and making a will. Advance planning for a memorial is no different. In each case, it's the wisdom of planning now to make sure the future won't be so uncertain. More and more people are making their memorial choices a part of their estate planning process. There are countless good reasons for doing so; here are ten we at Polchinski Memorials, an authorized Rock of Ages Dealer, feel are especially important. A memorial should be a joint decision. You've shared your lives together. You have made important choices together. Since a memorial is the most enduring thing you will ever purchase, it should be a joint decision, too. Planning your memorial together is indeed the right way to do it. Yet all too often, couples and families put it off. "We have talked about planning together but we just never got around to it" - these are words our Rock of Ages retailers hear time and again from surviving spouses and other family members. It completes your estate planning. 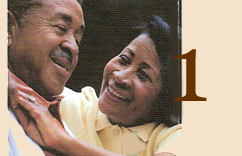 Most people realize the importance of estate planning. 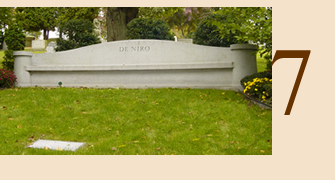 What fewer realize is that estate planning isn't complete without memorial planning. As a result, those surviving are often left with the burden of choosing and paying for a memorial. By planning your memorial now, you can avoid this difficult situation and ensure that your memorial will be made of the world's finest granite. Plan now, and the choice will reflect your wishes. Your choice of a home, car, or vacation spot reflects your personal preferences, your tastes and wishes. Why let others select your memorial? 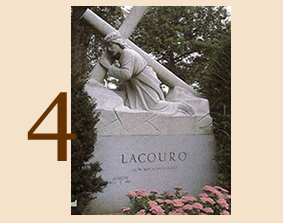 Your authorized Rock of Ages retailer will work with you to personalize your family memorial so that it tells a story in stone-one that reflects your life, your interests, your beliefs and your accomplishments. Your heirs won't be left guessing. 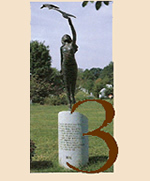 It is both unwise and unfair to burden your heirs with the task of choosing your memorial. They can only guess at your wishes. A modest amount of forethought on your part can prevent the tragic possibility of family disputes and delays by making clear to everyone what your wishes are. Your insurance will fulfill its intended purpose. 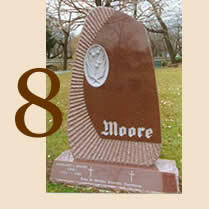 If you purchase a memorial now and pay for it out of income, the cost will hardly be noticed. And you'll have the security of knowing that your estate, savings and insurance funds can all go toward their intended purpose: providing for those you love most. The decision won't have to be made at an emotional time. At times of grief and loss, it can be very difficult to make important decisions. Why place even more stress on your family? Not only may they find it difficult to think clearly about your wishes, but they may overlook such issues as quality and craftsmanship and the soundness of a strong guarantee. By working with the memorial specialists at Rock of Ages now, you'll be assured of the finest granite and workmanship all backed by the strongest guarantee possible the Rock of Ages Full Perpetual Warranty. No matter what happens, memorialization will be assured. No one can predict the future. Financial troubles can delay memorial purchases by families, sometimes indefinitely. Disagreements can have the same effect. Pre-purchase is your protection against these uncertainties and guarantee that memorialization will in fact happen as you want it. 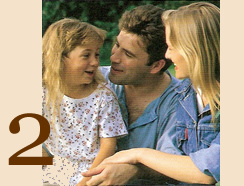 Plan now, and we can promise you and your family pieces of mind. A memorial should never be forever. Yet only Rock of Ages can provide you the strongest written guarantee that yours will be so. 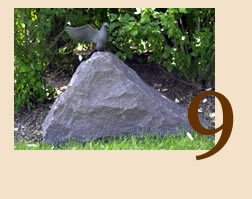 The famed Rock of Ages Corporation will replace without any charge any granite part of your memorial should the part prove to be defective in any way attributable to our granite or our workmanship. Our guarantee extends not only to you and your heirs, but in the cemetery as well, remaining in effect even if your family passes away. Moreover, we have established a substantial trust fund, independent of the company, to ensure that we can meet this warranty forever on our Rock of Ages Sealmark and Signature memorials. A Rock of Ages Memorial is now easier to afford than ever. Your Rock of Ages Authorized Retailer can offer you a payment plan designed to make America's finest memorials easier than ever to purchase in advance. Buy now and you'll be able to spread the cost over several years. You'll be able to personalize your own memorial and you'll receive the guaranteed quality that only Rock of Ages offers. Your memorial can easily be moved if you relocate to a new home later in life. And the price you pay will be today's price-guaranteed not to increase. 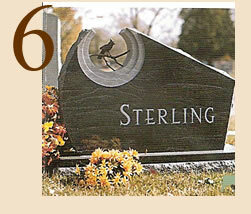 It takes only a little time with your authorized Rock of Ages retailer to complete your memorial planning. Is this the right time to arrange for your memorial? Only you can answer that. But now that you understand the many reasons for acting today, why put it off? Call today and we'll help you gain peace of mind, make the decisions you want, and make sure your memorial fits easily within your budget. When you decide you're ready, you'll have help you can trust from an experienced memorial counselor at your authorized Rock of Ages retailer. 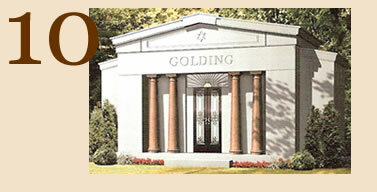 We are experts in memorial design and in other matters such as cemetery regulations. And unlike anyone else, only an authorized Rock of Ages retailer can offer you the unmatched assurance of Rock of Ages quality and craftsmanship.